I love the aztec nail art I tried recently and decided to paint some old bangles that I had hanging around with a similar pattern. 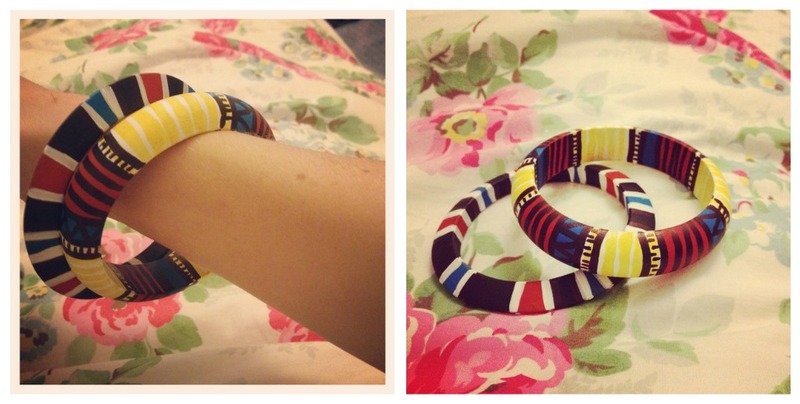 I just took two wooden bangles, some acrylic paint and this is what I came up with! it's a nice feeling to wear something handmade and they'd make cute gifts too.